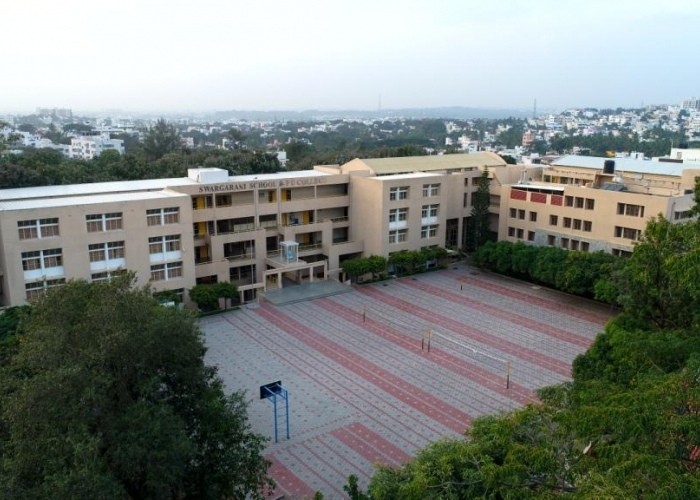 Our school is an English medium co-educational school affiliated to the Indian Council of Secondary Education (ICSE), Government of India and follows the 10+2 educational pattern. The School runs two early learning programs, the Pre Nursery and Kindergarten systems. At the senior secondary level, students are offered the option of studying either Science or Commerce. The school embodies the very essence of its motto “Lead Kindly Light”. Be it the learning it imparts, the opportunity it provides or the sterling values it rekindles, Swargarani strives to prove a life of enriched experience to the students. Synonymous with brilliance in academic results, Swargarani is constantly evolving and works upon the conviction that a new vision is vital for its students. The outstanding performance of the school is evident from the innumerable laurels that are achieved in various fields of excellence. Swargarani is ranked among the top few schools of Bangalore on the basis of its exemplary results. Our unrelenting pursuance for excellence is reflected in the consistent commendable performance of our students year after year. Established in the year 1997, Swargarani lays a strong foundation to lead a balanced life by strengthening their positive approach to life, intellectual competence, value consciousness and social commitment. The school is a result of the untiring efforts of its founders run by the Sisters of the Visitation Convent. The school follows a philosophy of selfless service. The Sisters of the Visitation Convent give themselves unsparingly and thereby play a key role in making dreams come true. Well-qualified experienced and dedicated staff has made Swargarani a heritage of excellence.